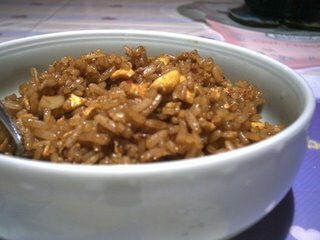 Gracio's Egg Fried Rice. This is indeed simple & easy to prepare but it brings back good old memories for me. Wanna know why? Cuz this dish was my 1st dish which I made when I was only 10 yrs old. When I'm home alone on some weekends afternoon, I would whip up this one dish meal. Breaking News: Gracio's 1st Step Into Baking!! Authentic Thai Food by "Ban Khun Mae"